I have not been able to find anything about this Turkish 78 except for the name? of the performers? which is written in English on the label. An intense piece of music which a scratchy recording only serves to make even scarier, it has voices, an insistent hand drum and the horn/flute instrument sounds like an ancient mey. A captivating, maybe uneasy listen (war song?heroic allegory? 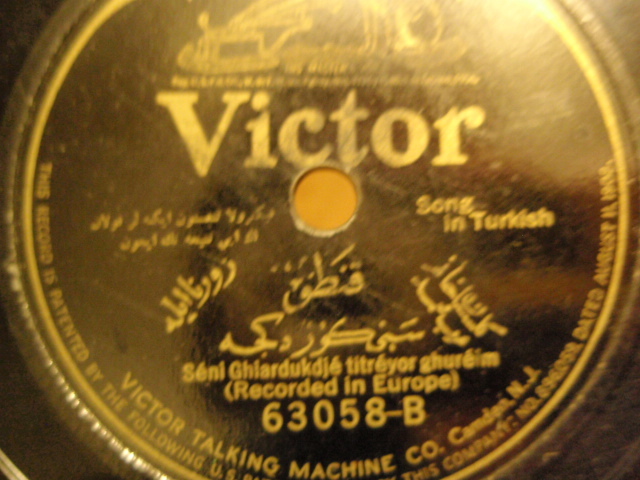 ),this appears to be from the late 1910s, on Victor’s “bat wing” label. As a part of history, Edward Kennedy “Duke” Ellington transcends any localizing. He traveled the world with his famous orchestra, playing his compositions for the fox trotters at Harlem’s Cotton Club, the British queen and her family, Carnegie Hall concerts, television appearances, Argentine “hot” dancers etc. Igor Stravinsky went to hear him many times. His orchestra broke down racial barriers for “the Race”, playing for the first time in countless as-yet segregated venues. Many of Ellington’s compositions have become canonical, and many became Standards in his own time. 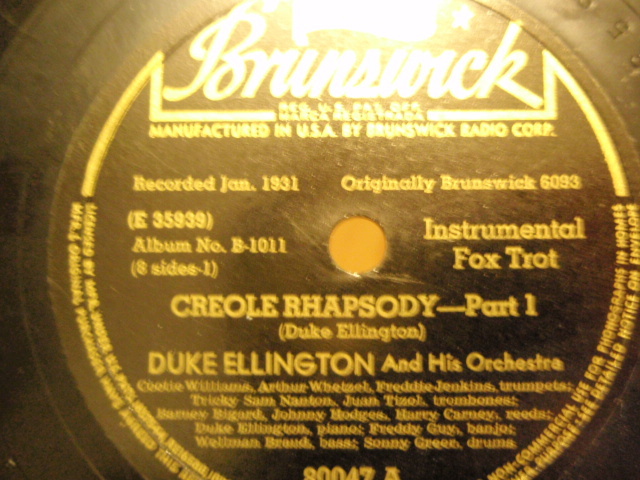 For this one, I have picked two: Creole Rhapsody, recorded in January 1931, and Swamp Fire from 1946.